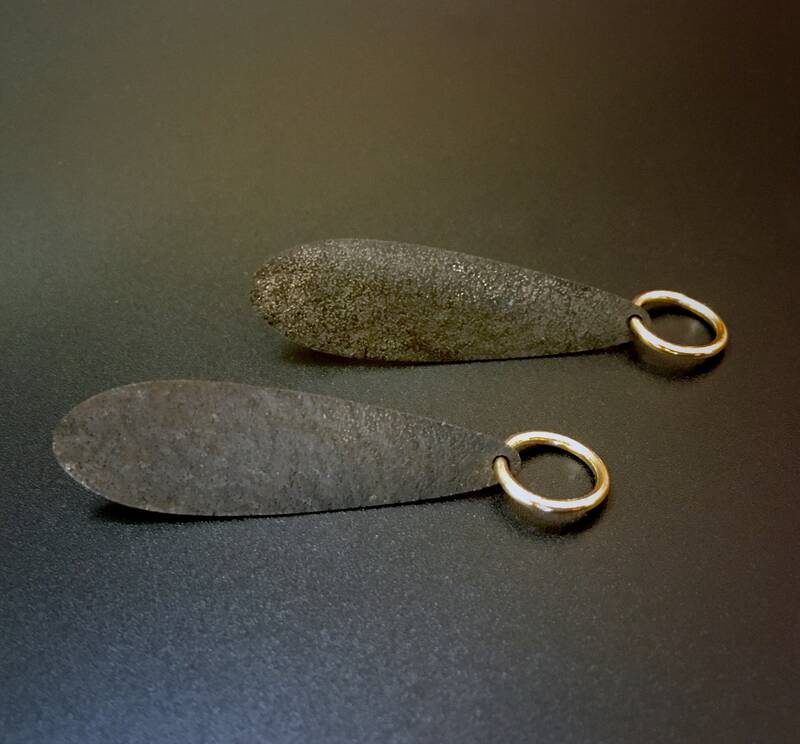 Modern & casual drop earrings feature textured and oxidized Sterling Silver, with a single 12mm loop of 14K goldfill suspended from the bottom. These lightweight earrings measure approx. 48 x 12mm, and feature Sterling posts with earnuts.